I haven't posted in the longest time but have been reading the board and continuing with my stitching. 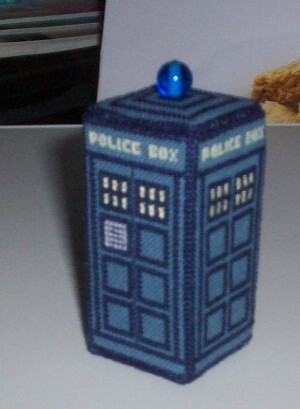 I've finally transferred my cross stitched 3D Tardis ornament to a .jpg which I can share here if someone can explain to me (in small friendly words) how to do the 'cut thingy'. Also, is it possible to do paragraphs in LJ or am I just being incredibly dense today? That's just marvelous! I haven't cross-stitched in ages, but this might be the thing to bring me back to it! You're welcome and as a cross stitch fanatic, I encourage you to try it out. Beware, it can be very addictive. Oh wow, this is (if you'll pardon the term) fantastic. Thanks for sharing the pattern! Question -- do you think this would work in plastic canvas? I have a lot of that, and no aida cloth. Yes this chart can be stitched on plastic canvas. 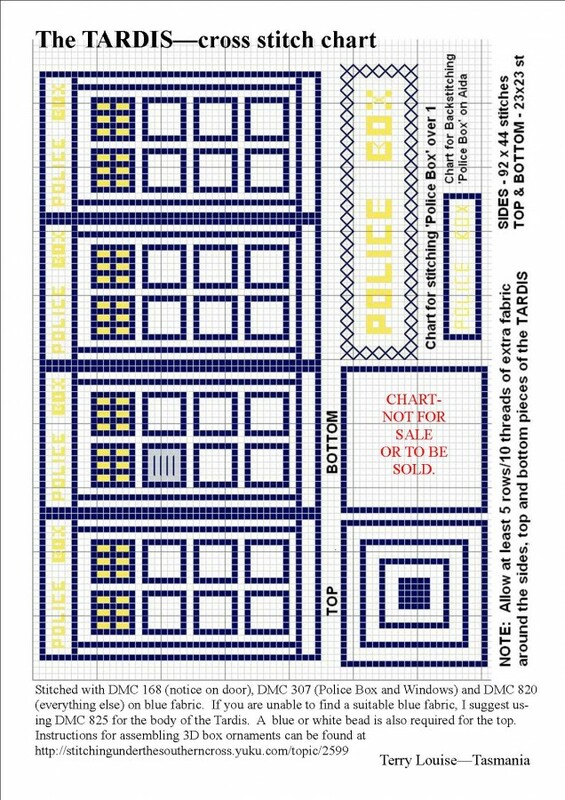 You will just have to stitch the four walls separately and then assemble them rather than stitching on one piece of fabric. Also you will need to stitch the lettering in backstitch rather than the petite stitch. Enjoy.